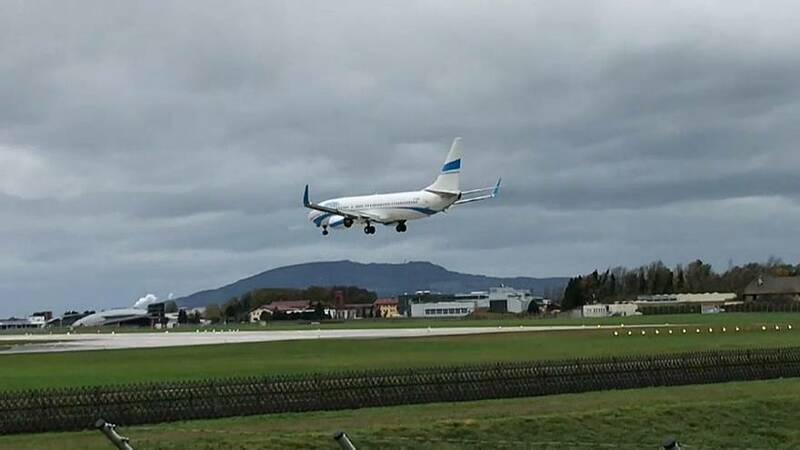 Amateur footage captured the moment a passenger plane attempted to land in stormy weather at Austria’s Salzburg airport. The Polish-run Enter Air flight could be seen jolting around in the air and bumping the ground before taking off immediately after. After aborting on landing the pilot flew the plane back to a Frankfurt airport. Powerful storms wreaked havoc in central and northern Europe over the weekend, causing flooding and strong winds which left at least six dead.